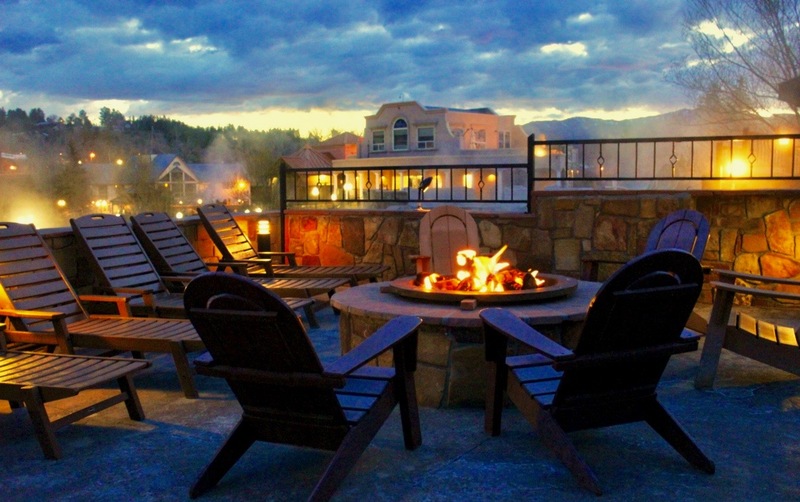 Michael and Katrina and are hosting the Pagosa Springs Full Moon Retreat, July 7-9 at The Springs Resort & Spa. Nestled in the southwest corner of Colorado, Pagosa Springs is one of the most beautiful and undiscovered gems in all of North America. Crossing over the stunning Wolf Creek Pass, you’ll descend down into the town of Pagosa Springs passing by waterfalls and incredible vistas of the this magical valley. 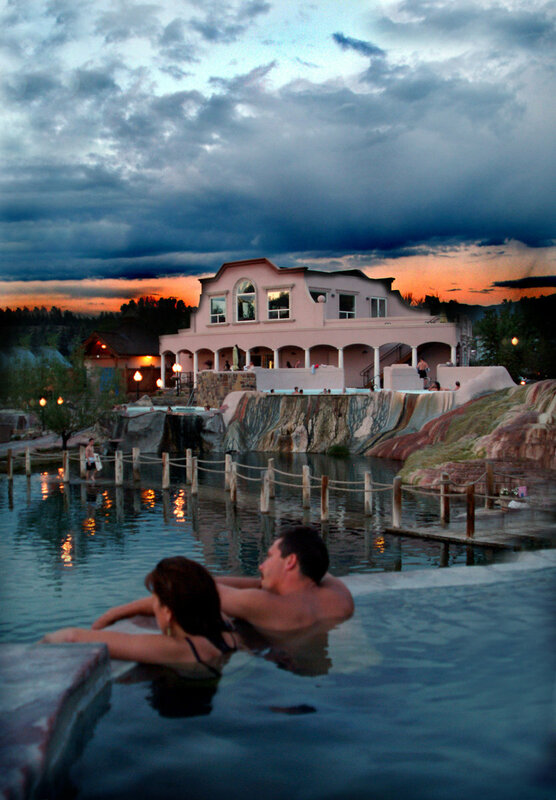 The Springs Resort & Spa is a world-class resort and sits right on the San Juan River with 23 amazing hot springs and soaking pools that are open all day and night for attendees. You’ll be immersed in this healing and rejuvenating environment on the Full Moon weekend of July 7-9. We Packed it Full (moon)! The deepest hot spring in the world! Plenty of personal time to soak and explore! Our retreat will bring the community feel of Karma Yoga Center and create a space to connect and restore your mind, body and soul. Retreat starts @ 6pm on Friday, July 7 and ends Sunday, July 9 at Noon. 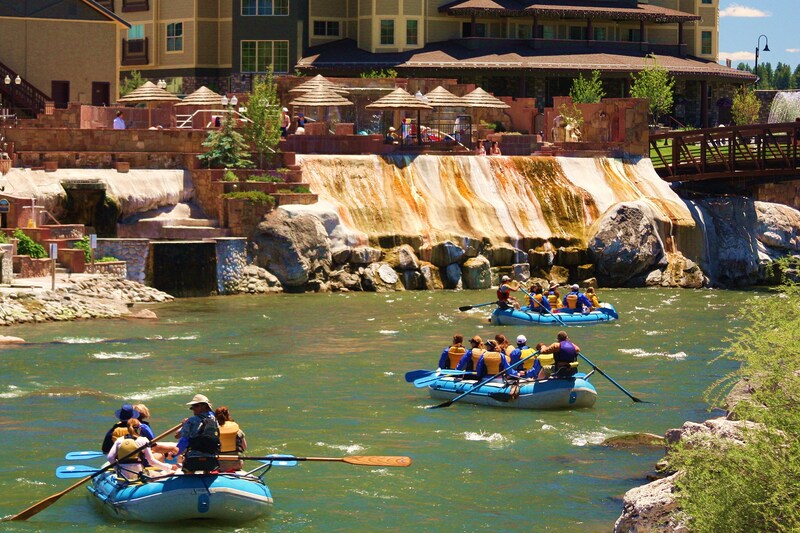 The Springs Resort & Spa is located on the banks of the San Juan River in downtown Pagosa Springs. Offering 23 naturally hot therapeutic, mineral pools, and a mineral water lap pool fed by the World’s Deepest Geothermal Hot Spring- The Mother. Temperatures of the pools range from 87–114°F. There are 13 distinct healing minerals in the these waters that are held sacred by the native Ute peoples that detoxify, rejuvenate and heal those that soak here (Read More…). The town of Pagosa Springs is just across a foot bridge that spans the San Juan River. Explore the many artisan and boutique shopping options and river walking trails. There are also many great dining options for lunch on Saturday, July 8. Attendees will enjoy staying in the modern Deluxe Queen Rooms with 2 Queen Beds in each room. 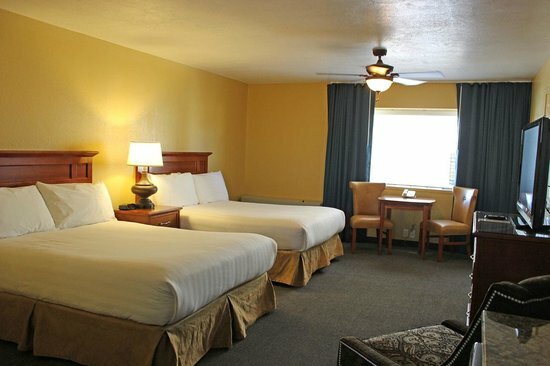 The Deluxe Rooms are located right next to the source, The Great Pagosa Mother Spring. Early mornings provide an opportunity to view the steam rising from smaller “wild” springs which appear and disappear randomly throughout the meadow and along the bank of the river. The spacious Deluxe Rooms also feature a kitchenette with microwave, mini-fridge, coffee maker, toaster, flatware and dishes. Attendees can easily access the 23 hot-springs pools for soaking 24-hours a day. It’s an easy 1 minute walk- in your spa robe- to enter the pools. Includes 2-nights accommodation, 23 soaking pools, spa robe and towel, 2 breakfasts, 2 dinners, 1-free mini-astrology chart reading, 2-hour river rafting tour, full moon ceremony, daily yoga, nature meditations, Treasure Falls, and an astrology/star talk. All accommodations are the Deluxe Queen Rooms w/ 2 queen beds. We do offer flexible Payment Plans. Payments can broken out over 4-months with an additional $75 charge. Call or e-mail Michael to discuss 720-745-0184 or Love@KarmaYogaCenter.com. All meals are included except lunch on Saturday, July 8. Included breakfast and dinner meals will be in the EcoLodge in our Yoga Nest Space. There is also coffee and tea provided all day and a bar in the Ecolodge that is open at 3pm. There are vegetarian and gluten free options. Please let us know if you have and dietary needs. * Friday night dinner will be a family style gathering at the EcoLodge. *Saturday will start with a continental breakfast (fruit, coffee/tea, coffee cake, juice, cereal, oatmeal, etc) in the EcoLodge. Lunch is on your own. Dinner will be a family style gathering at the EcoLodge. *Sunday will start with a continental breakfast (fruit, coffee/tea, coffee cake, juice, cereal, oatmeal, etc) at the EcoLodge. Our group will take a relaxing 2hr float down the San Juan River with a guide on Saturday, July 8th. We’ll start 4.5 miles up stream in the scenic wilderness and journey right into the center of Pagosa Springs, exiting in front of our Hotel and Resort. 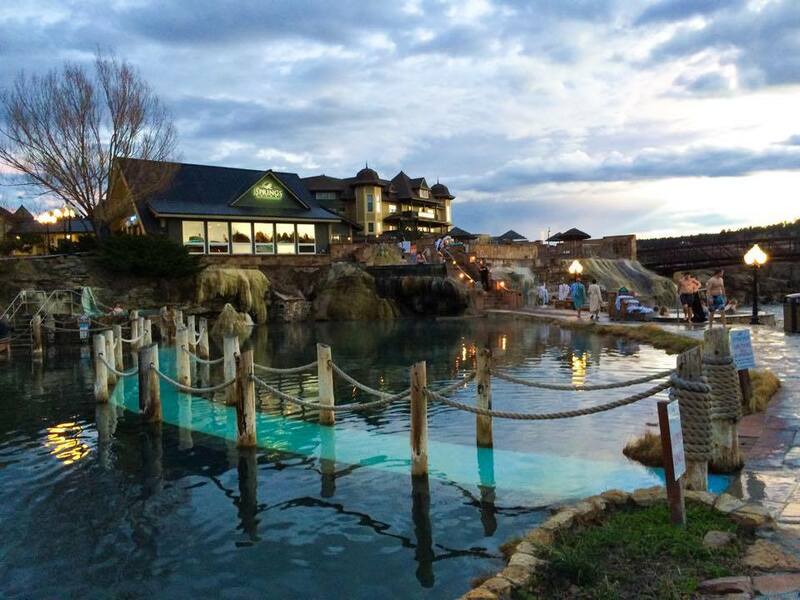 You will literally be able to step out our raft and back into the hot springs soaking pools. Adults and children are welcome. If the rafting trip is not your “cup of tea” you have the option of free time during the river trip. You can also do a lazy-river float with an inner tube. Cloths that can get wet on the rafting trip. Owner and founder of Karma Yoga Center, Katrina Gustafson is a certified yoga instructor who has been leading retreats and teaching yoga for 13 years. Her teaching style is a heart-centered vinyasa (flow) with an emphasis on the spiritual aspects of the practice. She is a student of internally renown master teacher Saul David Raye. As a Bhakti yogi, She works hard on maintaining the integrity of this ancient practice while bringing it into the 21st century. 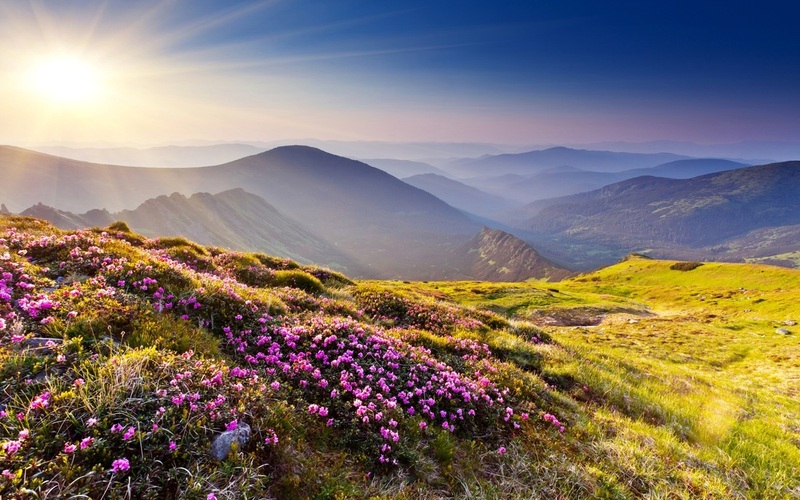 Katrina is a certified Crystology Healer and offers Spiritual Counseling and Healing Sessions. She couples her sessions with an innate understanding of Astrology and the stars. Michael is a certified yoga teacher and Shaman. He weaves together the practices and wisdom of Bhakti Yoga with Mayan Shamanism. Initiated into the sacred wisdom of the Maya, Michael is the sole apprentice under elder and shaman Dr. Don Miguel Angel Vergara. He provides live music for the yoga classes and mediations. Michael is a certified Crystology Healer and studies western astrology, astronomy, and the Mayan Calendars. He offers energy healings that integrate his shamanic training with the astrology and cosmology wisdom teachings. The retreat starts @ 6pm on Friday, July 7. 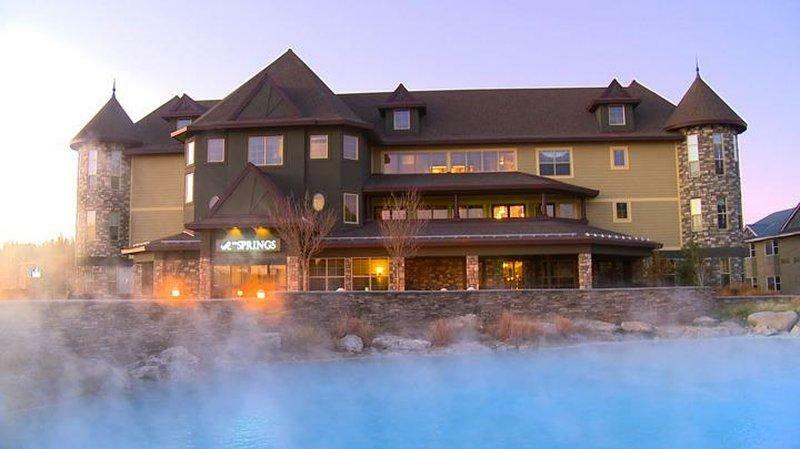 Participants are responsible for their own transport to and from The Springs Resort & Spa in Pagosa Spring, Co. We do encourage car pooling and can help connect you to other attendees if you need a ride. 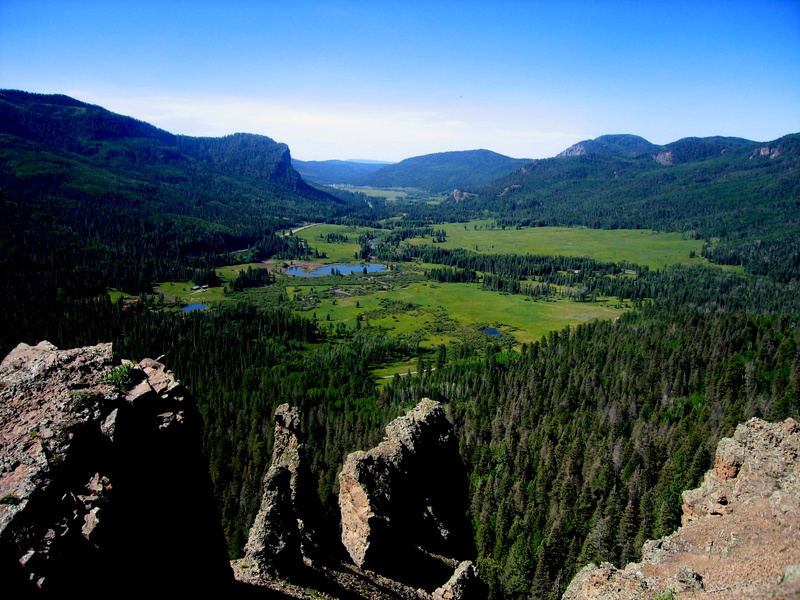 It is about a 5 hr drive from Denver and Pagosa is located in the Southwest corner of Colorado. It is a stunningly beautiful drive through Fairplay, The San Luis Valley and over the Wolf Creek pass into Pagosa. There are many other spectacular sites that you could stop at along your trip including Chimney Rock, The Great Sand Dunes, and Mesa Verde to name a few.